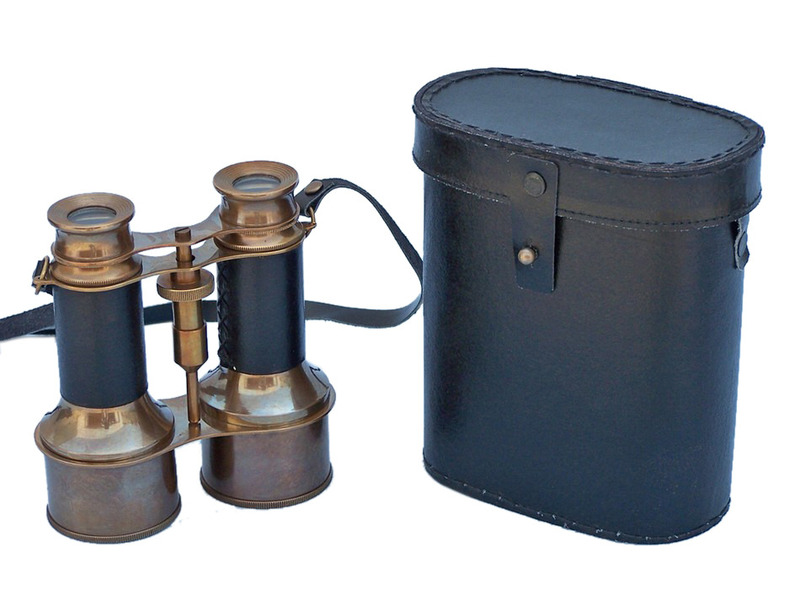 Commanders Antique Brass Binoculars with Leather and Leather Case 6"
These beautiful Hampton Nautical Commander's Antique Brass/Leather Belt Binoculars with Leather Case 6" will make anyone feel like a true navigator. 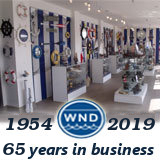 With a uniquely designed body structure and classic eye pieces, these binoculars have in-line prisms for improved field of view and have precision ground glass 1.75 inch (44 mm) diameter objective lenses. Focusing is accomplished using a knurled focusing knob on top of the binoculars. The binoculars have a leather strap and come with a handmade leather case.